Scouting for E&P opportunities available globally through identified country representatives, diplomatic circles and industry circles/ contacts. We assist Clients in development and comprehensive acreage acquisition strategy and take fruitful acquisition decisions. Technical and economical evaluation of assets including seismic interpretation verification, geological model validation, development of independent reserves assessment by volumetric or material balance method as the case may be in terms of 1P, 2P and 3P reserves and contingent resources. Assessment of licence areas during government bid rounds and the preparation of technical and commercial bids. Estimation/ verification of exploration cost, development cost (CAPEX) and operating cost during production phase(OPEX). Asset valuation in terms of Net Present Value (NPV), Internal Rate of Return (IRR) and eventually Fair Market Value. We undertake comprehensive G&G analysis and feasibility studies for bidding of oil property. This includes generation of geological model, reserves estimation, estimating production potential and forecasting oil/gas profile, engineering and preparing bid document for competitive bidding. We have a team of Geologists, Reservoir Engineers, Production and Construction Engineers having professional expertise in their respective field of specialization. JOSLER has assisted clients in evaluating upstream oil and gas assets through attending both physical and virtual data rooms and visiting facilities in person. Our multidisciplinary approach to reserve estimates ensures that all technical and commercial aspects of the reserves and resources are considered within the audit and conveyed to the client. 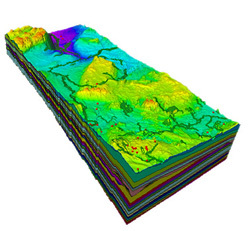 Generation or validation of hydrocarbon potential maps. Computation or validation of initial oil and gas in-place volume. Computation or validation of production profiles. Computation or validation of capex and opex. We also carry out review and design of reserves guidelines and processes.